The Royal Frost birch (Betula "Royal Frost") bears reddened leaves that strikingly contrast the peeling white bark and grows pest- and disease-free. Appreciating cool summers, it grows most successfully in moist, well-draining soils in full sun or in the partial shade of an open woodland in U.S. Department of Agriculture hardiness zones 3 through 6. A complex hybrid deciduous tree, the Royal Frost birch resulted from genetically crossing Whitespire Japanese white birch (Betula platyphylla var. japonica "Whitespire") with the Crimson Frost hybrid birch (Betula "Crimson Frost"), which derived from Betula platyphylla var. szechuanica and Betula pendula "Purpurea." "Royal Frost" is the cultivar name and the United States registered trademark name, assigned Jan. 25, 2000, to the Evergreen Nursery Company of Sturgeon Bay, Wisconsin, according to U.S. Patent and Trademark Office. The Royal Frost birch inherited beautiful white bark and resistance to the bronze birch borer from the parent Japanese white birch selection Whitespire. Thanks to the Crimson Frost birch it displays attractive burgundy-red foliage. Growing quickly, Royal Frost birch reaches a mature height of 40 to 45 feet and a canopy spread up to 20 feet. This winter deciduous tree attains an upright, pyramidal shape with white exfoliating bark and deep burgundy foliage that emerges in spring, remains blackish purple across summer and changes to deep red in autumn. 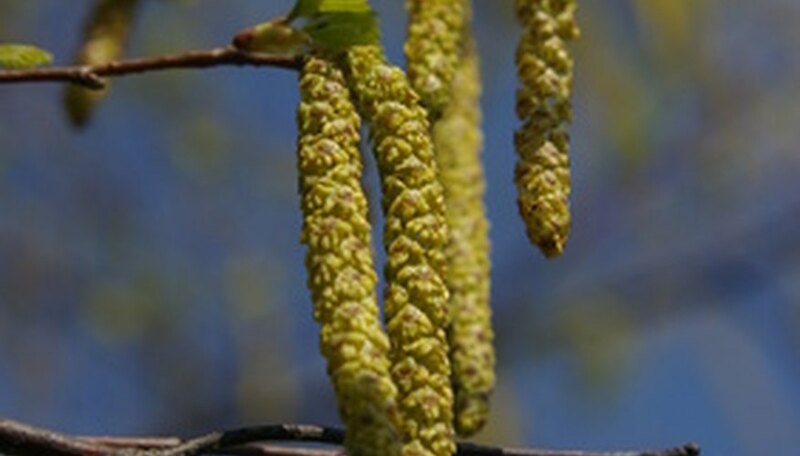 It produces pendent catkin flowers in early spring that are not showy. Best grown in regions with cool summers and cold winters, it can be used as a shade tree or vertical accent in a garden setting where its bark and colorful foliage can be appreciated up close. A green background, such as an evergreen hedge or windbreak, contrasts both the white bark and the red foliage. This birch tends to bleed sap heavily from any pruning wounds during late winter until mid-spring. To avoid this, prune only as needed in early summer once the foliage has fully emerged and reached its mature size. Missouri Botanical Garden: Betula "Crimson Frost"